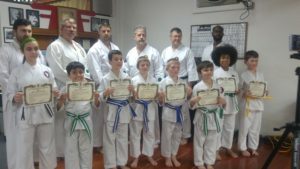 Congratulations to all the kids that were promoted in the December Junior Belt Review. 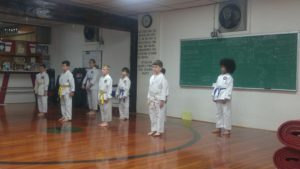 The kids have been training hard for a long time, and all are making great progress!! They are required to know all the same material as the adults, and over the last few weeks they had to go through a thorough pre-review process to be sure they had all the material down. All the instructors, fellow students, and of course parents are proud of their accomplishment! !